Just A Car Guy: either they are prepping for the next flood/hurricane surge, or their Jeep Grand Cherokee's body has rusted thru, but that PT Cruiser body fits like a glove!! 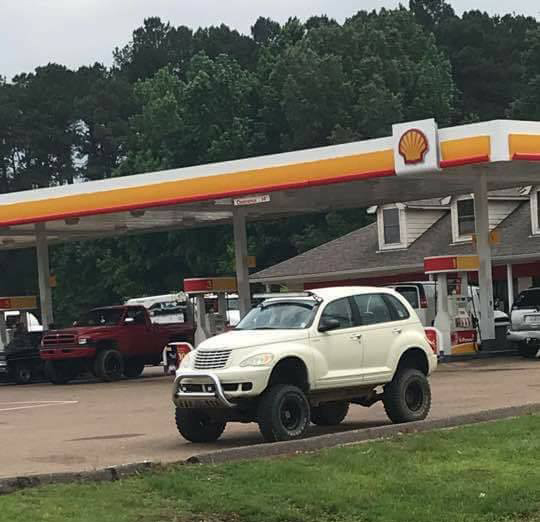 either they are prepping for the next flood/hurricane surge, or their Jeep Grand Cherokee's body has rusted thru, but that PT Cruiser body fits like a glove! !